Yesterday, the Guardian Newspaper in the U.K. broke the story that a gigantic money-laundering operation, dubbed the ‘Global Laundromat’ had included a number of leading banks, amongst which was HSBC. This short post will look at how the mentioning of money laundering is becoming almost analogous with the mentioning of HSBC and that, ultimately, the bank is in danger of facing the greatest threat that a bank can face - an irreversible loss of its reputation. HSBC has a long association with facilitating the illegal flow of money, either from illegal sources or via tax evasion. In 2010, the bank was ordered by the Federal Reserve to improve its money laundering procedures. Then, as was discussed in a previous post in Financial Regulation Matters, the bank was fined $1.9 billion in 2012 by U.S. authorities for ‘exposing the U.S. financial system to money laundering’. 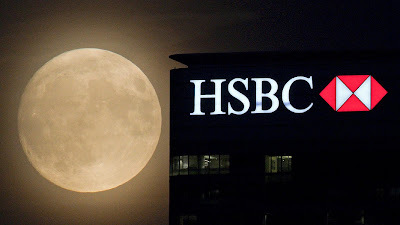 This was predicated upon a damning investigation led by Senator Levin of the U.S. Senate, that systematically described how HSBC has consistently performed particularly poorly when it comes to preventing the flow of money from criminal organisations, banned entities and countries, and terrorist organisations. In 2013 Argentina initiated criminal charges against the bank for facilitating tax evasion and money laundering, and in 2014 an independent compliance monitor stated that the bank had ‘much work’ to do in terms of fortifying its Anti-Money Laundering (AML) procedures. Yesterday, the story continued with the news that of the billions of dollars emanating from Russia and Eastern Europe, HSBC processed at least $545.3 million. Whilst HSBC was not the only bank indicted by these reports (RBS processed $113 million, Deutsche Bank $300 million, Citibank $37 million and Bank of America $14 million), this repeated association with money laundering is approaching terminal for the bank. It was reported last month that HSBC was being investigated by the Financial Conduct Authority (FCA) over concerns about its AML procedures. However, the recent allegations have seen that rhetoric harden. Today, the Economic Secretary to the Treasury, Simon Kirby, declared to a hastily assembled House of Commons Committee that the Government ‘will do what it takes [to] ensure that sophisticated criminal networks cannot exploit our financial services industry’. However, MPs were vitriolic in their condemnation based upon a common understanding that Kirby was ‘complacent’ with his answering of extremely important questions and for ‘failing to acknowledge the ease with which such cash can be transferred through London’. Shadow Chancellor John McDonnell went further by stating that it was ‘deeply disappointing’ that British Banks were, once again, involved in an international scandal, and that it ‘appears that some of these banks haven’t learnt the lessons of the past, and are clearly not doing enough to clamp down on financial crime and money laundering’. It has been proposed that the National Crime Agency (NCA) immediately commences an investigation into this scheme and how it has infiltrated the U.K., with the Guardian declaring that the money has flooded London and has been used for purchasing luxury items and even a place at a prestigious school for a child of Russian national. The calls from opposition MPs should be enough to initiate an effective investigation into how British banks became part of this international system of moving illegal money. There is a defence to be had for HSBC, that their operations are so global, and so extensive, that it is almost impossible to effectively guard against such sophistication. This may be true, but there is a bigger issue – HSBC is close to becoming synonymous with money laundering, and that could be particularly dangerous for the bank’s future. The issue of ‘perception’ has been discussed on a number of occasions in Financial Regulation Matters, and that is because, quite simply, the financial system must be seen to be working, even if under the surface all is not well. The infamous Bank of Credit and Commerce International, much better known as BCCI, is a case in point for the new Chairman of HSBC, Mark Tucker, who was appointed last week. BCCI is rightly remembered as being so intertwined with illegality that it was colloquially referred to as the ‘Bank for Crooks and Criminals’ and, arguably, Tucker’s job is to make sure HSBC does not become BBCI mark II. Mark Tucker was hired because of his successes in Asia, with the obvious intent being to expand HSBC’s operations in that continent. 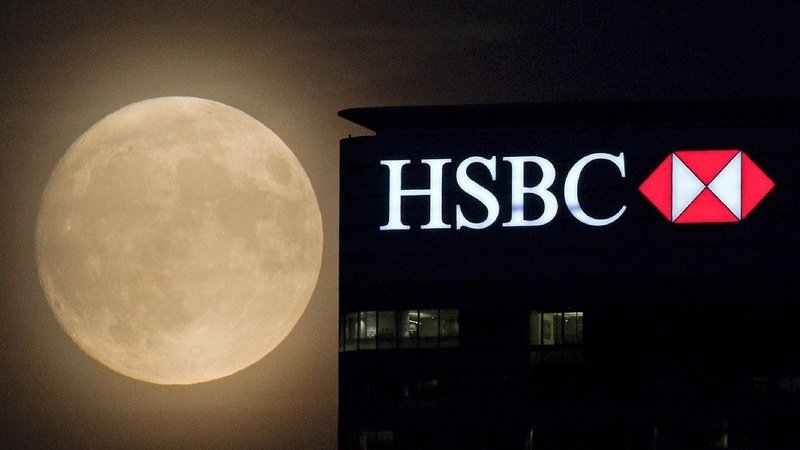 However, it is far more important that HSBC turns its attentions inwards, rather than looking to continuously expand – any expansion will make the process of eliminating these AML failures even harder, not easier, and that may prove to be a terminal error for this massive bank. It is likely that the $543 million figure quoted by the Guardian will steadily increase as investigators seek to understand the extent of this global scheme, and with every increase in that figure HSBC becomes exposed to the greatest threat that a bank faces – an irreversible loss of its reputation. Mark Tucker’s job has just become much harder, and he has not even officially taken over yet (that will happen in October of this year). Labels: Anti Money Laundering, HSBC, Tax Evasion.